I absolutely love mornings like these. Weather is changing over the mountains of Rocky Mountain National Park and it looks like there will be little to no chance of photographing sunrise. Even so you head out long before the break of dawn hoping to capture a few minutes of light if you are lucky enough. Thats excactly how things panned out this July morning in RMNP. 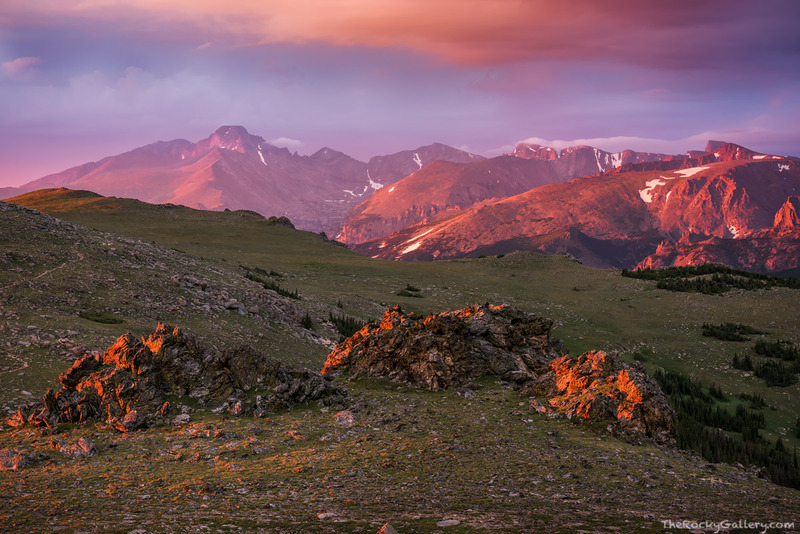 It only took a small break on the eastern horizon over the high plains of Colorado to illuminate the divide and Longs Peak is warm light as rain started moving in over the alpine tundra high above Trail Ridge and the Ute Trail. Photo © copyright by Thomas Mangan.